Proper nutrition during childhood can positively affect a child’s social behaviors and development. That’s the main finding of a new study from two University of Pennsylvania researchers: Jianghong Liu, an associate professor in Penn’s School of Nursing and Perelman School of Medicine, and Adrian Raine, the Richard Perry University Professor of Criminology, Psychiatry and Psychology. 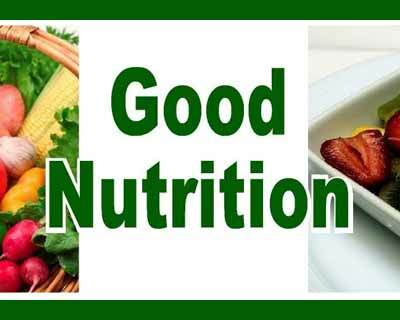 They published their results in the journal Maternal & Child Nutrition. It’s a unique take on a field that often focuses on how poor diet negatively influences early childhood development. For this study, the scientists analyzed a sample of 1,795 3-year-old children from Mauritius, an island off the eastern coast of Africa with a population of about 1.3 million people. They focused on four aspects of physical health related to nutrition and four indicators of social development. Physical health factors included anemia expressed by low hemoglobin levels, reflecting iron deficiency; angular stomatitis revealed by cracked lips and a lack of vitamin B2 and niacin; and insufficient protein intake indicated by thin or sparse hair and hair discoloration. On Mauritius, where the majority of children have black hair, that fourth factor shows up as an orange or red tint to the hair. The researchers considered a child with just one of the quartet as “suffering from nutritional deficits.” However, children with more malnutrition indicators showed more impaired social behavior. Social interactions studied included friendliness, extent of verbalization, active social play and exploratory behavior. A research assistant observed every child’s success and rated these factors on a specified scale. The observer knew that the research concentrated on child development and behavior but was unaware of the nutrition-related hypothesis. Examining the relationship between these components after the fact, Liu and Raine then teased out a neurocognitive link between nutrition and comprehensive social behavior. It’s a connection undiscovered to this point. “The bigger message is give children good nutrition early on,” Liu said. “Not only will it enhance cognitive function but, importantly, promote good social behavior,” which is essential to brain development and intelligence. Despite the diversity of Mauritius, which has Indian, Creole and, to a smaller extent, Chinese, French and English populations, the researchers acknowledge a desire to replicate their findings in large cities in the United States. Another limitation is the study’s cross-sectional nature, meaning measurements occurred all at once rather than over a long period of time. It’s possible to reverse the effects of poor nutrition, too, according to the researchers. “It’s never too late to provide good nutrients,” Liu said. “And it’s never too early,” Raine added.